Amaze your family and friends with the Astoria Infrared Electric Fireplace. 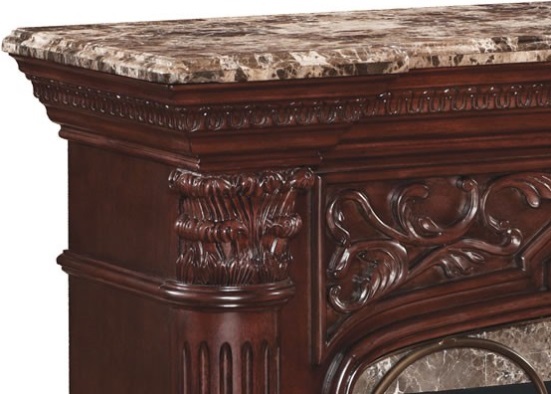 This astonishingly designed piece features a highly detailed screen, marble panels and mantel, lush carvings, and a rich finish that offers an elegant Victorian feel. This impeccable style of furniture doesn't only have that modern chic beauty and detail, but it comes packed with a lot of impressive features as well. The large firebox uses Spectrafire technologies to showcase the realism of fire with settings of 5 adjustable flames and one traditional flame option. The glowing embers and resin logs compliment the flame effects, in addition to your choice of brightness and colors of the flames. 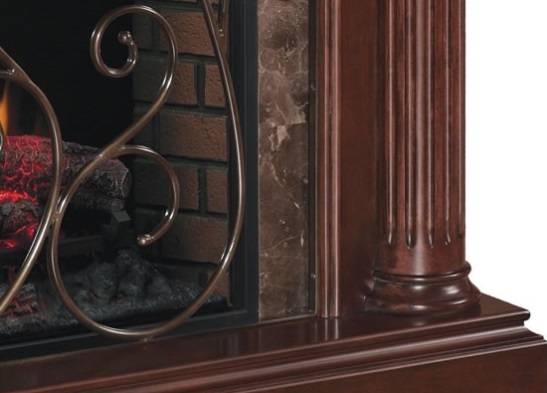 Instantly remodel any room by adding a wall mantel as a centerpiece. 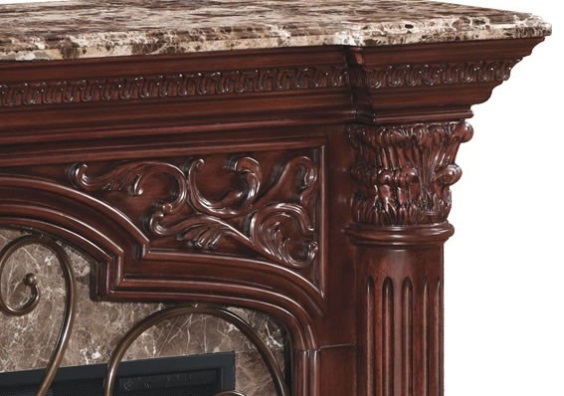 The Astoria wall fireplace mantel is destined to become the centerpiece of any living space in the home. 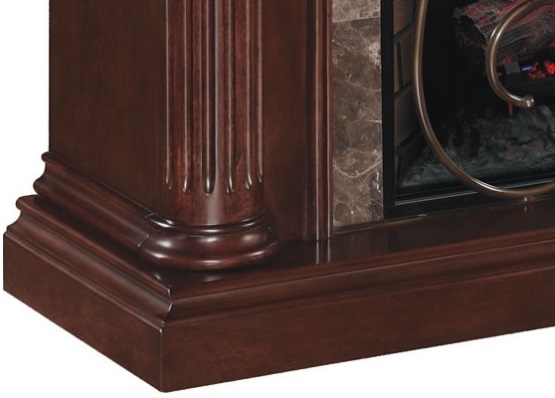 The mantel features an Empire Cherry Finish with a decorative corbel on the center panel and fluted half round columns. Solid, real Dark Emperador Marble top with matching surround and decorative metal fire grate. 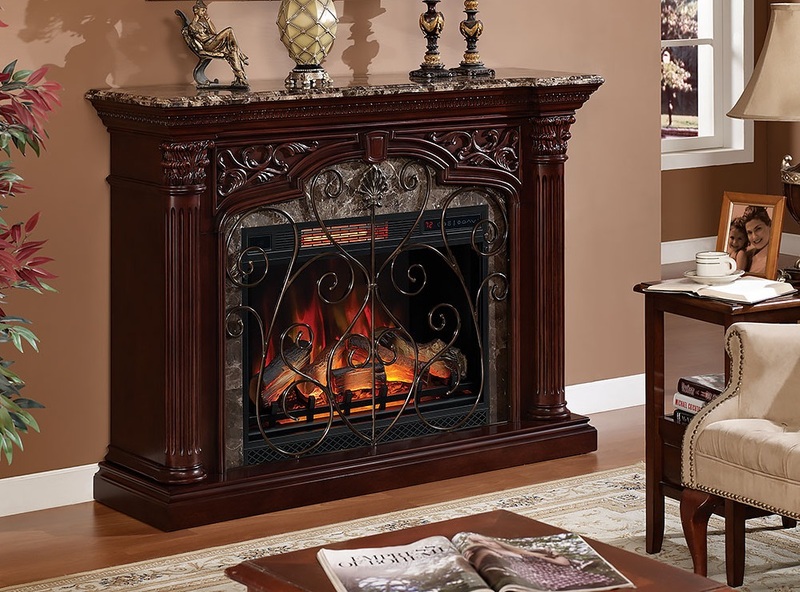 The Artesian wall fireplace mantel complements a ClassicFlame 33" electric fireplace insert. Simple, hassle-free assembly with just a Phillips head screwdriver. 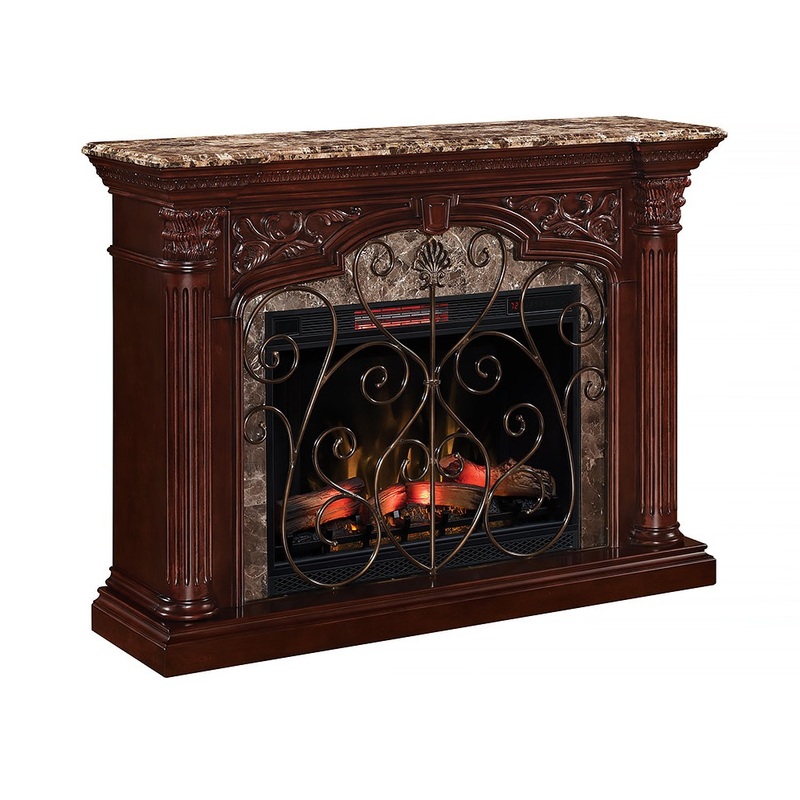 To add warmth and inviting ambiance to your home, add this 33” infrared quartz electric fireplace insert to your mantel or TV stand. The infrared quartz heat helps to maintain the natural humidity in the air, resulting in moist, comfortable heat without drying out the room's air. Providing supplemental zone heating for up to 1,000 square feet and showcasing stunning flame effects, this electric fireplace is sure to create a welcoming environment. Patent pending 3D flame effect technology offers a layered flame effect to create a truly realistic fire experience. The customizable 3D flame effect technology offers 125 selectable effect options to create your ideal fire, displayed on a realistic log set and ember bed. Five flame speed settings allow you to adjust from a fast roaring fire down to a gentle flickering flame, while five adjustable brightness settings allow you to select the perfect fire display for any occasion. Flame effect colors include Spectrafire, Sapphire, Amethyst, Campfire, Midnight Fire and auto cycle. The flame effects can be used with or without heat for year-round enjoyment. Change the settings easily using the control panel on the unit or with the included remote control. Use this fireplace worry-free as it is equipped with patent pending Safer Plug™ and Safer Sensor™ fire prevention technology. Safer Plug™ continuously monitors the temperature of the plug, and will turn off automatically if overheating occurs. Safer Sensor™ fire prevention technology alerts you when the heater is obstructed and will automatically shut off to prevent damage. This insert powers the LED lights on compatible TV stands and mantels. Does shipping include set up? We offer free curbside delivery, installation and set up is not included. This unit is very easy to assemble and 1 adult can put it together in under 30 minutes, all necessary hardware and assembly tools are included.